Gatwick Heating and Plumbing - Central Heating Engineer, Plumber based in Crawley, West Sussex. 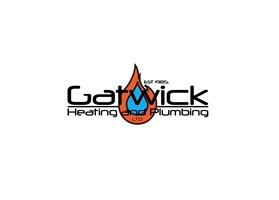 ABOUT US: Gatwick Heating & Plumbing (GHP) is a family run company. G H P LTD is now in the very capable hands of Barry's son KARL who served his apprenticeship with ghp he is a registered Gas engineer, with a wealth of knowlage he also installs and maintains oil boilers We offer a full plumbing and heating service. Our engineers are fully qualified to work on gas and are registered with Gas Safe. We are Grant approved G one installers of Oil heating boilers, which have a 10 year manufacturers warranty when installed by us. We believe in providing complete customer satisfaction. We are a part of GHP Construction Ltd and we offer a complete construction service "One Call Does It All". SERVICES: We offer a full plumbing and heating services for Gas and Oil. TEAM EXPERIENCE & KNOWLEDGE: Barry Lowe established his business in 1985 serving local residents, he has an extensive knowledge of all aspects of plumbing & heating, domestic and commercial. Barry has also worked for swimming pool companies, built koi ponds for clients and installed septic tanks. Barry has over 40 years’ experience and the team have a combined wealth of knowledge of 95 years. Our installation and breakdown engineers have worked for the company for a number of years. They all have an excellent technical knowledge as well as being trustworthy and considerate. They work in customers’ homes on a regular basis and know what is expected of them. RATES: Our rates are competitive, our charges are 100% clear and explained upfront. We offer a 2 year guarantee on installations and only install tried and tested materials which we feel will be of outstanding quality. Fixed price quotations are returned within 5 working days of an appointment. CONTACT GHP to make an appointment for one of our experts to visit your home. They will carry out a full survey, discuss your requirements and provide a comprehensive fixed price quotation, free of charge. We cover a radius of 30 miles from our base in Crawley. We cover Crawley Down, Redhill, Burgess Hill, Cowfold, Tunbridge Wells and surrounding areas.